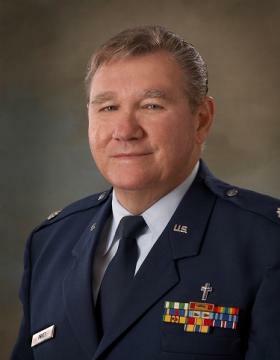 Traditional Revivals, Week-end revivals, Pulpit supply, Bible Conferences, Sanctity of Life Sundays, Prayer Emphasis Sundays, Military Specialty Occasions in Air Force Uniform (i.e. Veterans Day, Memorial Day, others). Authorized to Install Treasure Path to Soul-Winning and Treasure Path Sunday, which were both created by my mentor J.O. Grooms. I highly recommend both programs. Treasure Path to Soul-Winning, has been reaching people worldwide with the Gospel of Christ for 40 years with three important goals: Memorization, Personal Evangelism and Equipping Indigenous Leaders. Treasure Path Sunday, is geared to address spiritual immaturity and the lack of spiritual growth within the body of Christ. This is one of the local churches most serious present day challenges! The teaching is from 1 Peter 2:1-3 and is truly revival ground! Treasure Path to Soul-Winning and Treasure Path Sunday provide practical and proven solutions to help Christians learn and grow spritually and to be faithful and effective soul-winners! Please contact my office for more information.